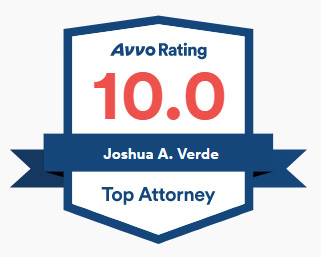 Joshua A. Verde, Managing Member - Josh focuses primarily on litigation and leads the firm's labor, employment, and business litigation practice. Josh handles cases filed in Texas state courts as well as federal district courts. 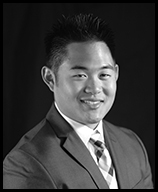 In addition to litigation, Josh manages the firm's corporate clients' transactional needs. Josh was selected for Super Lawyers Rising Stars from 2016-2019 and has consistently received the Avvo Client's Choice Award. Josh is a former airline pilot and flight instructor with more than 20 years of flying experience. Andrew R. Young, Associate Attorney - Andrew graduated from Oklahoma City University School of Law and received a Bachelor of Arts degree from the University of Texas in Austin. Andrew was born in Decatur, Illinois. As an undergrad at the University of Texas, Andrew worked as an In-Vivo Pharmacology & Immunology Research Associate for a prestigious biotech firm in Cambridge, MA. Andrew continues to monitor developments in healthcare technology and law. Rebecca Rowland, Of Counsel - Rebecca leads the firm's family law and divorce practice. Rebecca handles cases filed in Harris, Fort Bend, Montgomery, Liberty, Chambers and Galveston counties. In addition to serving firm clients, Rebecca commits to handling several pro bono cases each year. Rebecca meets with clients at her office conveniently located near Downtown Houston. Josh represents a diverse variety of clients including individuals, non-profit organizations, small businesses, and large independent oil & gas companies. Josh focuses primarily on litigation with an emphasis on labor & employment matters, corporate transactions, and aviation. 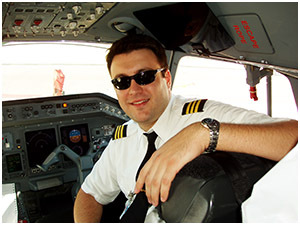 Josh is an experienced airline transport pilot with more than 20 years and 6,000 hours of flying experience. 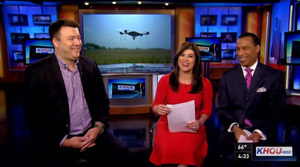 Josh is often sought for expert testimony and media consulting in aviation-related matters. 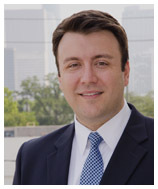 In addition to managing The Verde Law Firm, PLLC, Josh served as general counsel for a Houston-based oilfield services company. While serving in that capacity, Josh worked with outside legal counsel and financial advisers to guide the company through a complete financial restructuring that resulted in the elimination of nearly $100 million in contingent liabilities and a nine-figure sale of assets. The Verde Law Firm, PLLC continues to advise energy companies in employment matters, restructuring, contracts, and bankruptcy. Knowing the importance of pro bono work and giving back to the community, the attorneys at The Verde Law Firm, PLLC are encouraged to volunteer their time and expertise to assist those clients who are not able to afford legal representation. In connection with this commitment, Josh has volunteered at the legal clinic at the Michael E. DeBakey VA Medical Center in Houston and has served on the Houston Bar Association Fee Dispute and Law & The Media Committees. The Verde Law Firm, PLLC attorneys committed to additional community pro-bono assistance following the devastating impact of Hurricane Harvey on Houston and volunteered at the University of Houston Law Center. Josh earned the CARE recognition badge from the State Bar of Texas for his commitment to pro-bono work. Josh also served as the technology committee chair for Harris County District Attorney Kim Ogg during her transition into office in 2017. Josh has obtained successful results for clients in state and federal courts in Texas and has won appeals in Texas appellate courts and the Fifth Circuit. For a free initial consultation, click here to contact Josh. Rebecca was born in Pasadena, Texas. After graduating high school in 1992, Rebecca began working with her father who was a practicing attorney in Texas. Rebecca worked with her father for over 20 years while also working as a claims adjuster and risk manager who oversaw complex litigation cases. Rebecca graduated from the University of Houston Bauer College of Business with a B.A. in both finance and risk management & insurance. She graduated from South Texas College of Law in 2013 and started her own legal practice dedicated to helping those in need. For a free consultation, click here to contact Rebecca.